Looking for a self storage units Homebush solution or a self storage boxes? Simple we have the answers you want. Macys provide you self storage boxes Homebush. Our self storage units are delivered to you. That’s right we bring the self storage units to you. You load it, you lock it, and you keep the keys. We forklift the full module off at our facility – your belongings inside are never touched again until we return the module to you. Now that’s a perfect self storage units Homebush solution that takes away all the pain and hassle, isn’t it? Macy’s self storage units are much more convenient and so much less hassle. 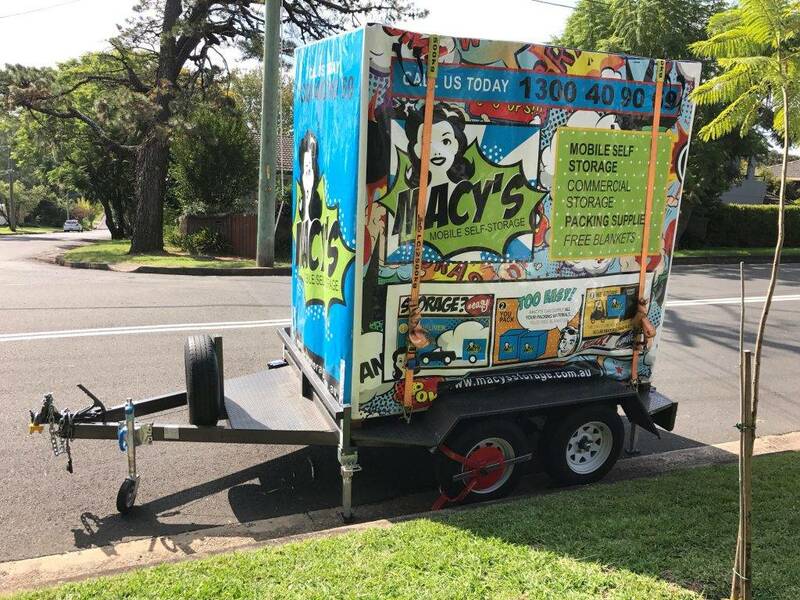 Macy’s self storage box removes all the unforeseen costs associated with traditional self-storage such as the hire of a driver with truck, trailer or ute and other costs such as furniture removalists. Don’t forget that the less time your goods are handled the less risk there is of an accident or damage. Also with Macy’s self storage units, you know that you are getting the best storage rates, as your only paying for the space you use. Our self storage units are custom built to last. Constructed with a thick hardwood and plywood base to structural grade timber and plywood frame walls and roof, our self storage boxes are solid and fully enclosed and extremely secure self storage system. With the added protection of 2 locking points on the door for your own locks. Macy’s Storage Module have been custom built from the ground up. For all your self storage unit needs short or long term give the team at Macys mobile self storage a call 1300 40 90 69. We’ve got a storage solution to suit your requirements, budget and needs. Best of all well bring the self storage boxes to your front door. Can’t get any simpler than that! Read more Self Storage Boxes Sydney. This entry was posted in Storage and tagged box self storage, mobile self storage units, self storage box, self storage units, self storage units for rent.